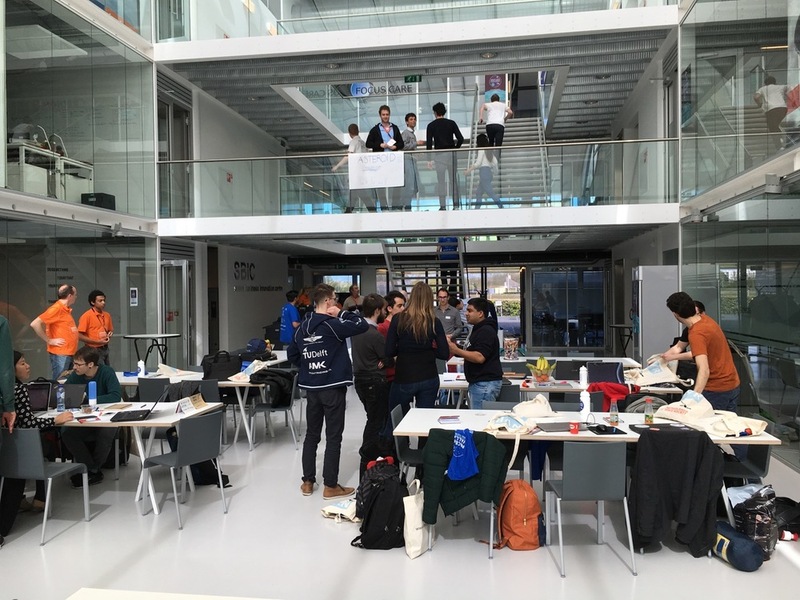 I recently had a wonderful opportunity to participate in this years NASA SPACE APPS CHALLENGE hackathon as a jury member for the ESA SBIC location in Noordwijk, the Netherlands. I was already familiar with the event from the previous year, but this was the first time I was able to officially participate. I had a wonderful time meeting the fellow jury members, and most of all meeting all of the participants and getting to see all of the creative and innovative proposed solutions to this years set of NASA challenges. To better understand how this event works, NASA releases a set of challenges that range in scope and complexity for a community of "thinkers or hackers" to work together and come up with creative solutions. The participants gave their 4-minute presentations to the jury and peers after 48 hours of hard work, collaboration, and I'm sure many energy drinks. It was a hard group to judge since there were so many strong ideas. In the end three groups were selected to move to the next round of the global competition. Toilettronic - a project aimed at simplifying the toilet experiences of space flight and stay at the ISS through wearable technology and gamification. This group impressed the crowd with their "in-the-box" thinking on how to reduce the stress of toilet experiences in space. Leaky Rivers - a mobile application focused on the use of public data and geographical information systems to inform the public on dangers of floods, with the aim of providing real-time warning systems for those who may be in or near areas of flood waters. SenseAIR - a mobile platform using public data that helps inform individuals of their exposure to pollutants by using real-time spatial information. This group was chosen as the "People's Choice Award"
For a full look at all of the groups and their projects please visit the Noordwijk Location NASA SPACE APPS CHALLENGE 2016 page. Currently the SenseAIR group is a semifinalist in the People's Choice Award category and is in 7th place overall. With a little luck and some voting they have a good chance to make the finals. I am looking forward to next years competition and to see what the new challenges will be. Hopefully I'll see you there.